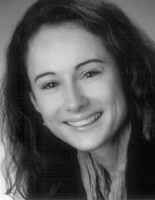 Sandra Feix studied Classical Archaeology, Ancient History and Scientific Studies of Religion at the Freie Universität Berlin. After graduation she worked for two years at the Orient Department of the German Archaeological Institute and specialised in international scientific project management and cultural administration. In Topoi she works as coordinator of research area (B) Constructing Historical Space .